Japan is one of the few countries which still embraces the spectacle of watching aircraft. 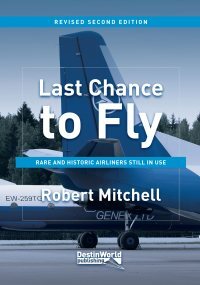 Most of its airports still provide one or more viewing terraces for families to wave off passengers and, most importantly, for aviation enthusiasts to log and photograph movements. In fact, terraces often provide camera-sized gaps in the fences to encourage photography. That’s not to say safety is ignored, however, with good precautions and a security presence to ensure safety. It just goes to show what can be sensibly achieved. 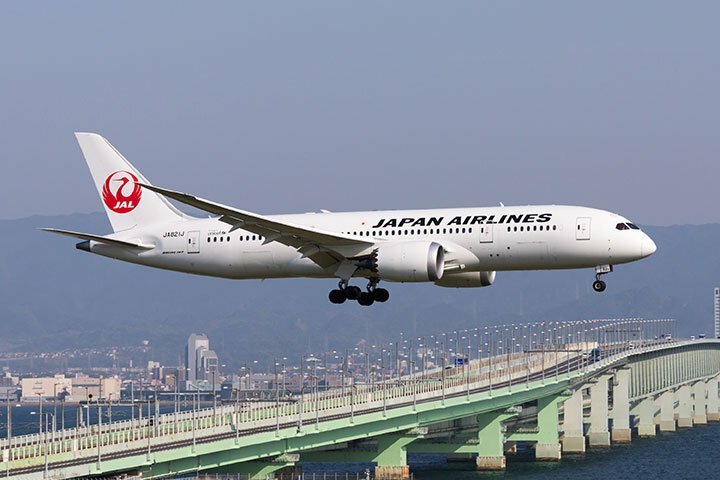 With this in mind, here are 5 essential airports for spotters to visit in Japan. Tokyo is likely to be your port of entry to Japan if travelling from Europe, the Middle East or North America. Narita was the main international airport for many years, but Haneda has been growing in stature and now has many long-haul links. Mixed with its extensive domestic and regional network, plus its closer proximity to Tokyo itself, it makes Haneda one of the best airports to visit in Japan. 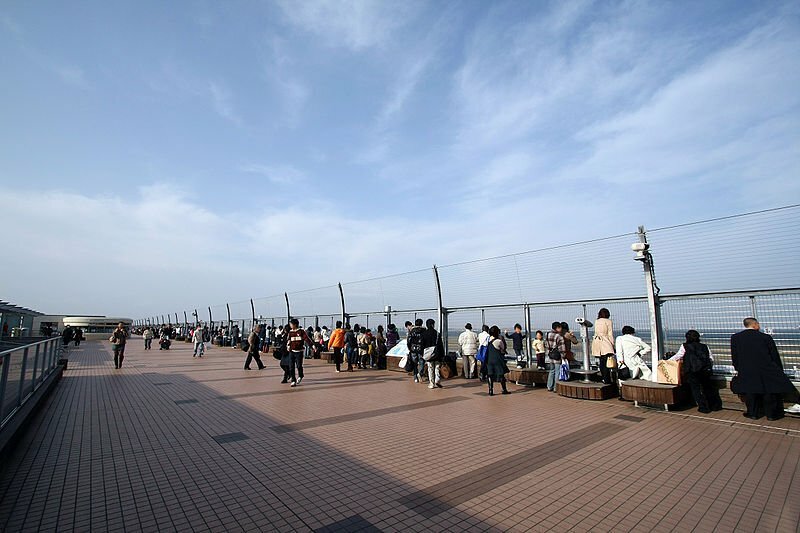 Haneda provides observation decks on all terminals, including the newer International Terminal, giving you plenty of space to observe the vast number of aircraft passing through the airport. The newer airport built to replace the cramped Itami Airport (which itself is worth a visit for domestic aircraft), Kansai is located on an island of reclaimed land. If you’ve ever seen stunning pictures of airliners approaching low over a road bridge, it was likely here that the shots were taken. Kansai is a busy international hub. An elevated platform at the eastern end of the airport is an official spotting location with great views of all movements. Chubu Centrair International is another of Japan’s man-made-island airports, built offshore around 22 miles south of the city of Nagoya. It is currently the country’s 8th busiest and handles a good mix of Japanese, Asian and carriers from further afield. 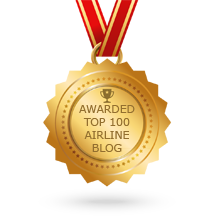 It is a hub for All Nippon Airways and Japan Airlines. One of the Boeing 787 Dreamliner prototypes was sent here for preservation. The airport has a single runway, although it plans to construct a second, parallel runway in the future to cope with planned growth. There is one large terminal, with domestic flights using the southern end and international flights using the northern end. The cargo terminal is to the north, handling a busy mix of international freighters. By far the easiest and best location for spotting at Chubu is the official Observation Deck which runs along the top of the central pier atop the terminal and has good views of the gates and runway. This is a large, popular deck which is open from 7am-9pm, free of charge. It has tall wire fencing running along its length, but it is still possible to poke a camera through to take photographs. 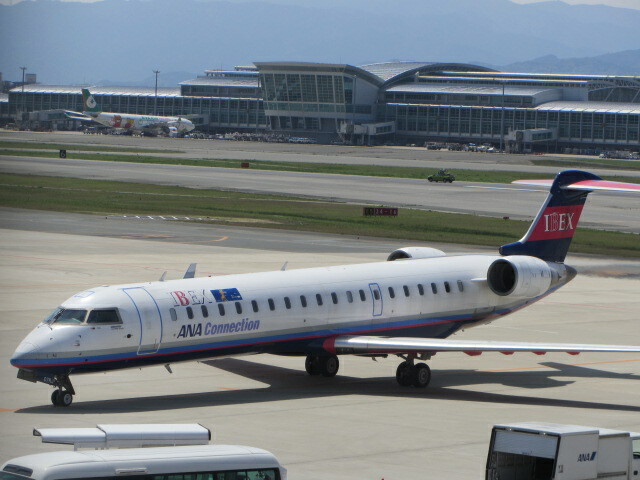 Ibex Airlines CRJ700 arriving at Fukuoka’s domestic terminal (itself with two viewing decks): the impressive international terminal (with a substantial viewing deck as well) is in the background. 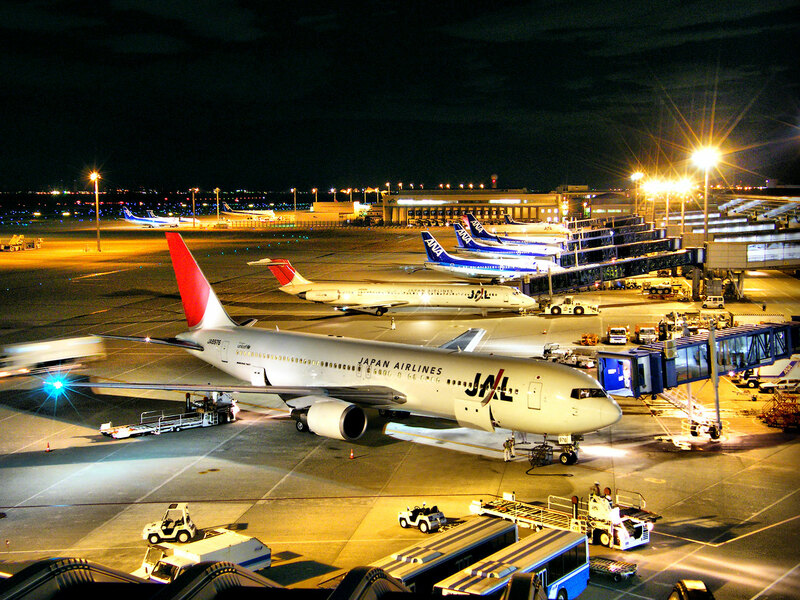 Fukuoka Airport handles a mix of domestic and intra-Asian flights from a variety of airlines. It is the fourth busiest airport in Japan and is bursting at the seams due to its enclosed location near the centre of the city. There are three domestic passenger terminals – 1, 2 and 3 – on the northern side of the single runway, and an International Terminal on the opposite side. A smaller cargo terminal is situated alongside the International Terminal. As with most Japanese airports, enthusiasts are catered for by observation decks on all terminals. One of Japan’s newer airports. Shizuoka was built in 2009 to relieve pressure on Tokyo’s airports, and to provide access to the Mount Fuji tourist region. 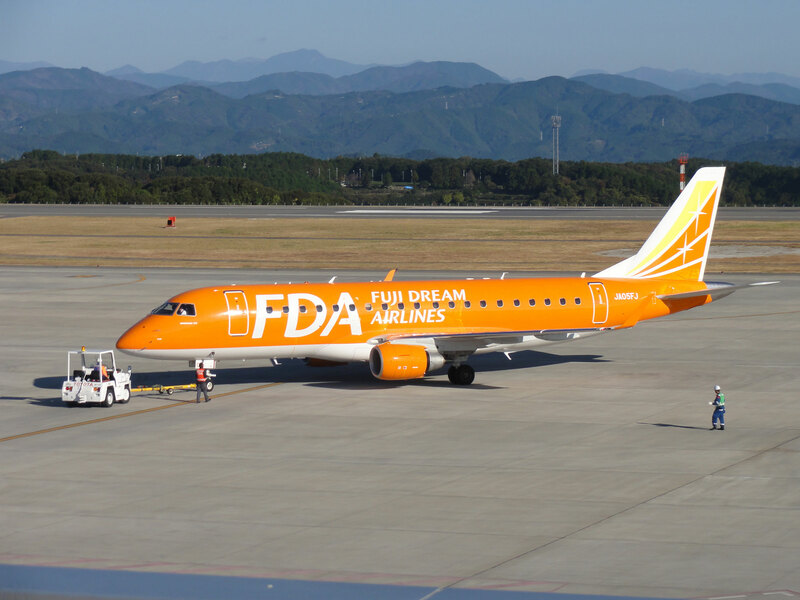 The airport is home to Fuji Dream Airlines and its colourful fleet of Embraer E Jets. All of Japan’s other major airlines operate here, plus some airlines from China and South Korea. There is an observation deck on top of the terminal, with its own aviation shop and views across the apron and aircraft movements. There is another good location for spotting at the Sekiunin Observation Platform a short distance down the street from the terminal. It has a large, elevated and open viewing area above a restaurant with fantastic views over the taxiway, with Mt Fuji as a backdrop. 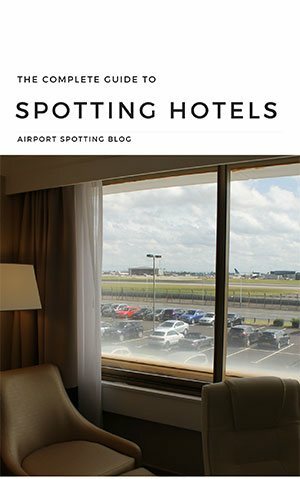 Have you been spotting in Japan? 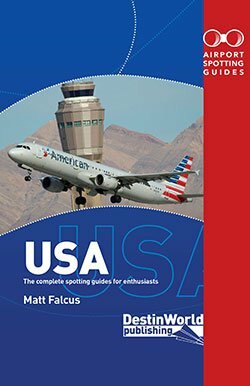 Where would you recommend as the best place for viewing aircraft, and what tips can you offer? Leave a comment below! Shizuoka is not the home to the Fuji Dream fleet, it is at Komaki. Also most Japanese carriers do not use it. Only ANA who have 2 B.738’s a day. Okinawa or Naha as it is sometimes called is a great airport to visit. Being down in the south it is usually warm. The airport has an open air observation deck and is good for photos. All the Japanese airlines go there plus a good few international flights from around the region and it is also a very active military base with P3’s and several types of fighters based there. I was last there about 4 years ago and then there were F4’s based there. I don’t know if they are still based there now though. I agree with Nick – I went to Naha 2 years ago mainly for the based P-3s, but it does get variety of Japanese military types. The fast jets were F-15s, crazy to watch a 12-ship of F-15s depart in between airliners. Naha is also the home of the world’s only combi Q400s – Ryukyu Air Commuter, and ‘rare in Tokyo’ Japan Transocean 737s. Great feature. Planning a Tokyo trip for next year. Can someone confirm if its worth doing HND and NRT. Not to worried about Euro heavies at NRT. So not sure if the traffic is worth the additional cost to go to NRT also. If most stuff can be seen at HND. Comments welcome. Narita doesn’t have too many ‘Euro heavies’ – it ain’t JFK! Bit it does have a lot more US, Japanese, Asian and Australian heavies, and some domestic aircraft of the Japanese carriers including the Tokyo base for Vanilla Air and Jetstar Japan. 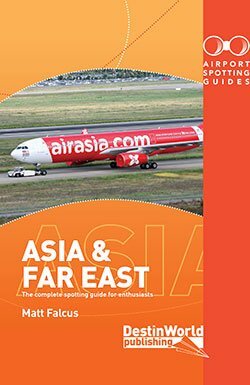 If you’ve never been to the likes of Hong Kong, Malaysia or Singapore you’ll pick up plenty new at Narita. It also gets the quite rare Air Calin A330s.